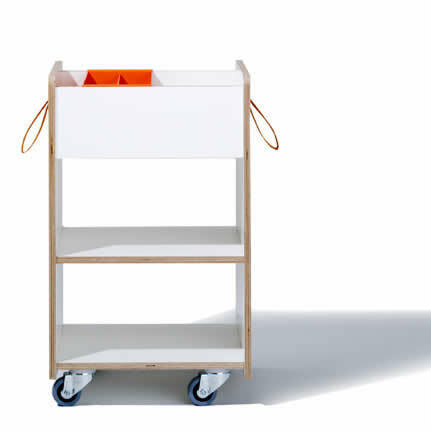 Rollable desk cabinet, suitable for example for the Eiermann Junior children's desk by Richard Lampert. Material: white birch plywood with belt grips in orange. Do you have a question about "Fixx"? How can we contact you?